After the trendsetting success of Kshanam by versatile artist Adivi Sesh, he is set to return on big screen as Goodachari in the direction of debutant Sashikiran Tikka bankrolled by Abhishek Pictures & Vista Dream Merchants in association with People Media Factory. The technically high standard film with many surprising elements has its story penned by Adivi Sesh while Telugu girl and Miss India Sobhita Dhulipala playing the female lead. “Interesting Goodachari title design and concept poster is being unveiled today. As the title suggests, Sesh will be seen as a spy training on a life altering mission. Telugu girl and Miss India, Sobhita Dhulipala is paired with Sesh in this movie. The film is made on very high technical levels and will set a new standard. We have embarked on 100 working days for the production. 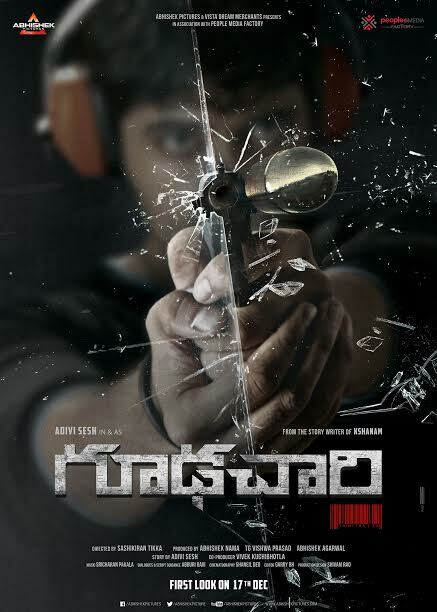 Later on, Goodachari first look will be unveiled on December 17th while the film will have a release in summer next year,” producers informed.